When I first declared that I was going to Bhutan, I saw surprised looks in the eyes of people. I got questions like – “What is there to see in Bhutan?” I of course did not answer any of them. Over the past years, as I have traveled, I have loved places of untouched beauty. Bhutan, to my surprise turned out to be even more than that. I am sharing with you some of the best moments of my journey through this mystic nation. Travel along with me as we explore this nation still not known to many. Trekking trail to The Takhtsang Monastery (Tiger’s Nest) has some stunning views of the mighty Himalayas visible in backdrop of trees that gently sway in the cool mountain breeze. 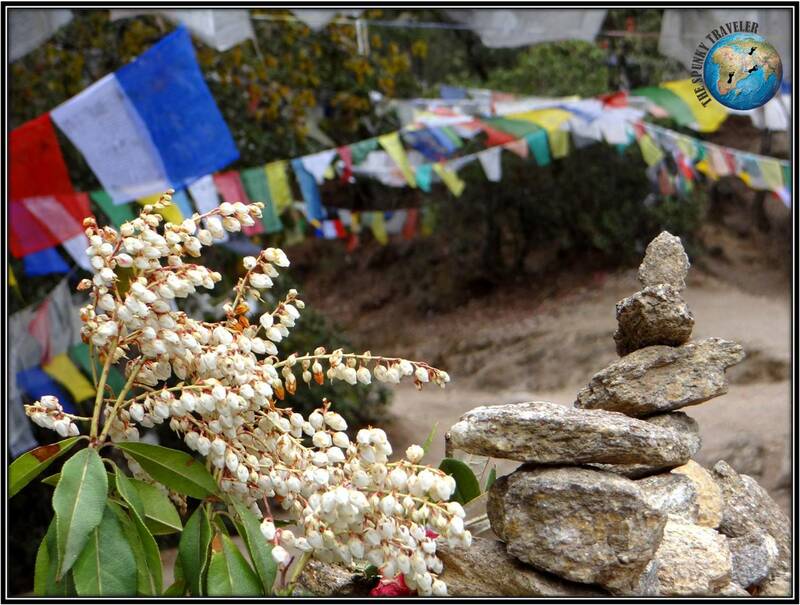 Buddhist prayer flags are spread all over the landscape. Even in some of the most unreachable places. The color they induce into the landscape is beautiful. I couldn’t resist from getting some for my own house. The sprawling farms resembled those fairy lands that I studied in books when I was in school. I saw green pastures with colorful huts in the backdrop and skies with rolls of cotton spread across. 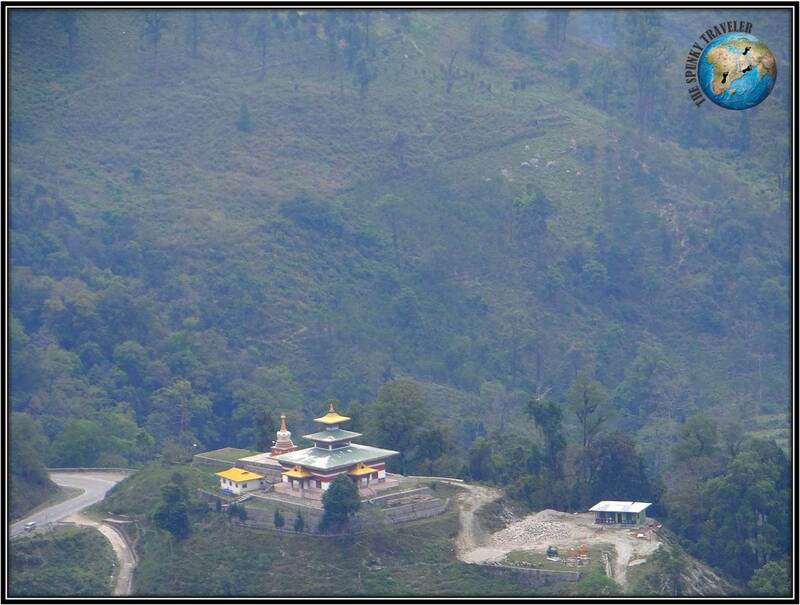 And the Dzongs which are very close to the Bhutanese are dotted across the valleys. There are some rare moments when every perspective with which you look at the place excites you. I experienced many such moments in Bhutan. I find it difficult to stay at a place for long but watching the green fields below from The Drugkyel Dzong was something I could do for hours. Drugkyel Dzong was the last place I wanted to see in Bhutan. But I eventually landed here and I don’t regret a moment spent here surrounded by snow capped mountains. What would I not give away to feel that fresh air passing though my whole body once again. It is tingling to see my dreams come true one by one. Hiking to the Takhtsang Monastery was one of the many I had. The experience of driving on these roads is unparalleled. Meandering through the most gigantic mountains I have ever seen, a tiny speck of metal called Enfield gently thumps across its way to Paro. Motor-biking to Paro was more than a drive. It was a treat to the eyes moment by moment. Sometimes there is so much to observe in simple things like this temple that stands out in the midst of vast expanses of different shades of green. As if the beauty of 108 Chortens at Dochula Pass and pink Rhododendrons was not enough, what enticed me more was the desire to explore the misty forests in the background. If only I had more time and necessary permits to go beyond. I have seen so many prayer flags, but every time I come across a new cluster, I stop. I just love to see the way they flutter in gentle breeze. I got an opportunity to have a closer look at one of the temples. Thanks to the monk who agreed to open it and show me around when it was closed to all others. A blend of water and camphor strong enough to entice all your senses is given as the deity’s Prasad in Bhutanese temples. When the children are small, women carry them on their backs. There is so much difference in reading something in a text book and seeing that from your eyes. School children walk long distances to go back home. The girls carry lunch in small colorful baskets that are homemade. I see a smile on everybody’s face. No wonder Bhutan is known as The Happiest Country on this planet. And when the sun sets in Paro, it leaves behind a magnificent blend of colors on the heavenly canvas. How long can you now resist before you pack your own bags for Bhutan?